“I went because there was nothing else to do.” Three former child soldiers sit on a bench in front of their former teacher and calmly explain their motivations for joining several armed groups surrounding the village. Pierre, Luc and Niye come from an internally displaced persons (IDP) camp in Mweso, North Kivu in the Democratic Republic of Congo (DRC). With no jobs and little to eat, many children, some as young as eight, leave their families for more lucrative opportunities in the bush. On 12 February, International Red Hand Day, the international community raises awareness of the plight of child soldiers all around the world. While Jesuit Refugee Service commends the steps taken by the Congolese government to end the recruitment of child soldiers, more steps need to be taken to provide educational and socio-economic alternatives for children in IDP camps. Joining armed groups offers more attractive benefits than living in the camps. Recruiters falsely promise young children improved social status, full meals and a career. Many children’s current living situation provides no such thing – IDPs in Congo have no land to cultivate and very few job opportunities. Food is scarce, and few families can provide for all of their children. Education and vocational training is absolutely integral in the camps, because it helps displaced children blend in with the host communities. It teaches them there are other ways to make money, other ways to live. 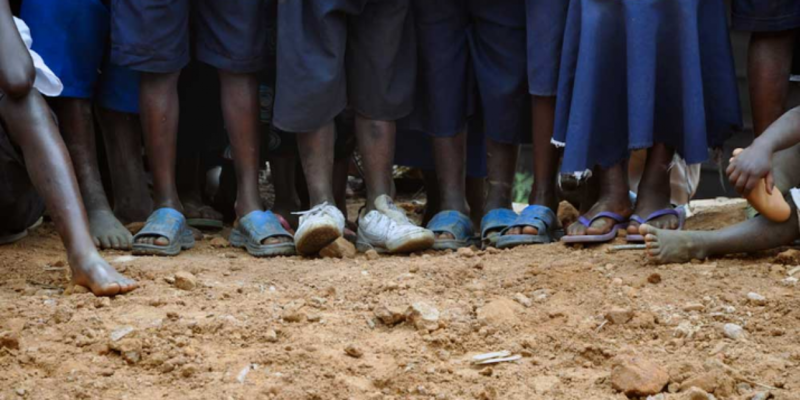 Deterring children from joining armed groups means providing future opportunities. Pierre, Luc and Niye all returned to pursue the possibility of vocational training in their villages. They hope to learn some carpentry skills to earn a bit of money and support their families. Education, informal vocational training and even extracurricular activities provide a break from the monotony of camp life. They create a space for host communities and IDPs to break down social barriers and promote understanding. Education is not a panacea. Children in IDP camps still face extreme challenges, including a non-existent economy, discrimination from host communities and cyclical violence. Yet skills-training, literacy and engaging with children of other ethnicities represent the first steps to creating stronger communities that counter the strong allure of armed groups.